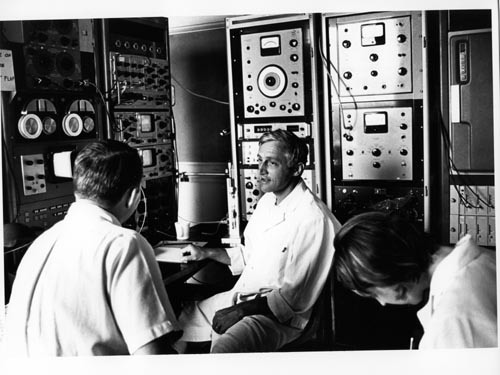 Black and white photograph of three men sitting in front of LINC console on left with laboratory instrumentation cabinets to the rear. White coffee cup on console table. One man is wearing a white lab coat.